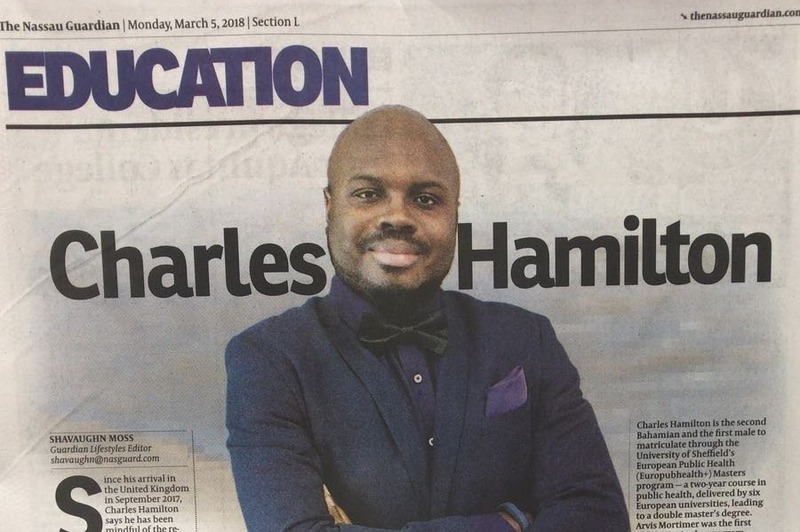 Fundraiser by Charles Hamilton : Help Charles Finish Grad School! This GoFundMe has been established to address my tuition gap for my final year of study: €8000 (approx. £7140). The remaining funding will go towards supporting living expenses (a requirement for European student visa processes). If all of my Facebook friends contributed just $20 USD/BSD (or £20), we could reach this goal together. Whether or not you are able to contribute, please share this link so your friends can join in supporting our goal. Any changes to funding obtained or timelines will be reported on this platform. Europubhealth+ (EPH+), since its inception 10 years ago, has over 300 alumni from over 70 countries. EPH+ provides a unique opportunity for participants to obtain a Double Master’s Degree in Public Health (delivered by six top European universities), while experiencing international mobility across the European continent, and obtaining practical public health experience through a competitive work placement scheme. My Double Master’s Degree pathway has taken me so far to the University of Sheffield - School of Health and Related Research - ScHARR (England: Sept 2017-June 2018); École des hautes études en santé publique - EHESP (Rennes, France: June-July 2018 & June-July 2019 anticipated); and Jagiellonian University Medical College (Krakow, Poland: Oct 2018-Jan 2019) for specialization in Governance of Health Systems in Transition (Public Health Policy/Administration and Health Economics). I was humbled to be The Bahamas’ first male (and second student) to participate in the program, so I hit the ground running to not only excel academically but to also be a strong ambassador for the greatest little country in the world. This is succinctly summarized in a humbling article from the Nassau Guardian, where I was featured as “Making Waves” in Europe and being a strong role-model, for young black men and Bahamians in academia. I obtained an outstanding 3.94 GPA (UK Equivalent = 76% = Distinction) in my first semester, and managed to complete my studies at the University of Sheffield with a Cumulative GPA of 3.84 (UK Equivalent = 74% = Distinction), while significantly contributing to academic, civic and extracurricular activities on campus. Co-Founder of the Sheffield World Health Organization Simulation (SheffWHO) : a 3 day conference that brought together over 80 students, alumni and young professionals (from across the UK, Europe and as far away as South Korea) to be trained in global health and diplomacy, while simulating the World Health Organization’s largest annual meeting - the World Health Assembly. This event was the first of its kind in Sheffield, 2nd in the UK, and 4th to be held in Europe and achieved a stunning 100% approval and referral rating from participants. c) The Erasmus Mundus Association (EMA) “EMA in the Spotlight” to encourage, recognize and promote outstanding achievements of its EMA members. d) Transnational Coverage in The Bahamas, UK, France, and Taiwan. 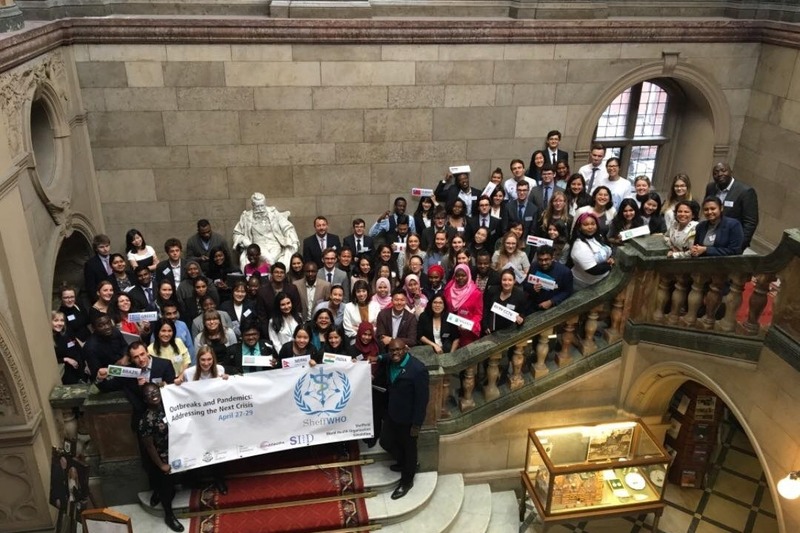 e) Recognition from Bahamas High Commission in London for the importance of SheffWHO in relation to diplomacy for Small Island Developing States and by various workers in international organizations for honing skills of the next generation of public health/global health practitioners. 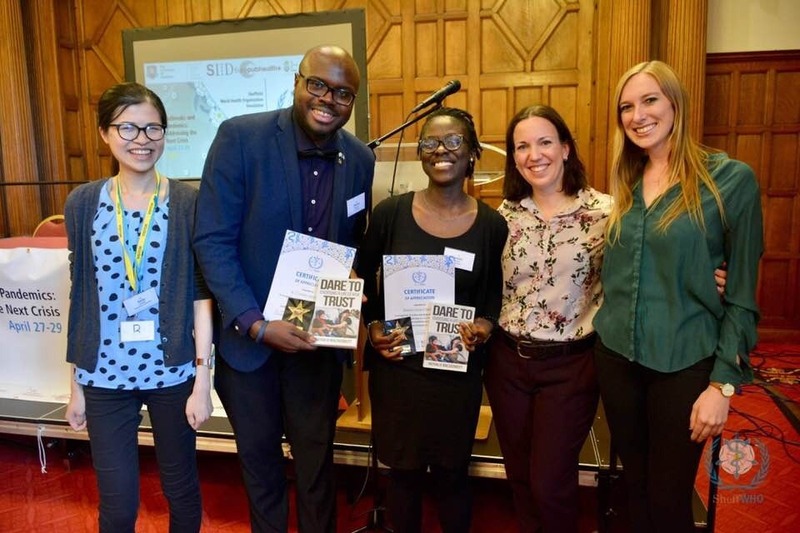 SheffWHO was a passion project, ran on volunteer time and is now set to be an ongoing fixture in the event calendar at the University of Sheffield. 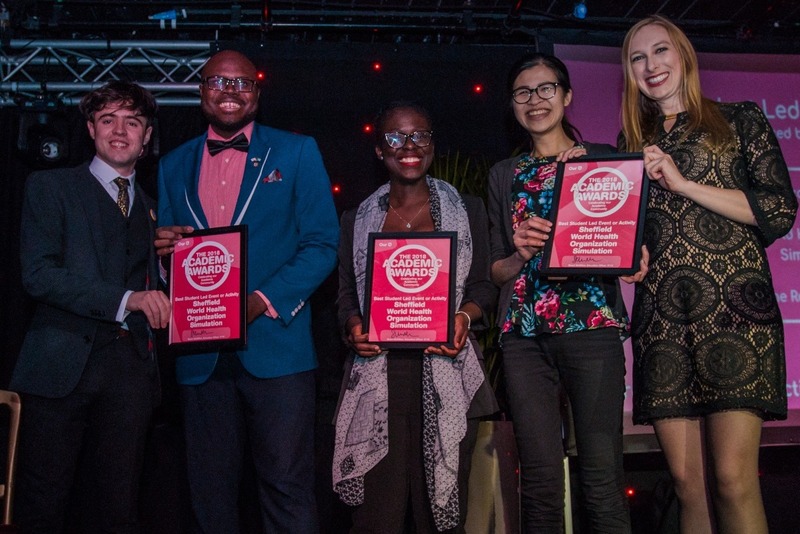 I also managed to still find time to have a work-life balance, being members of several student societies/clubs and was recognized as being “Most Inspirational Student” by the University of Sheffield - Public Health Society. It was not an easy year, but it certainly was one of the most rewarding years of my life. I have made this GoFundMe because I need your support to finish the second half of my Double Master’s Program, as strongly as I started it. I have applied for several scholarships in The Bahamas to support funding the second year of my studies. And although I had a stellar performance this academic year, I was not successful in obtaining one of the major awards that I hoped would prevent me from coming to the public for support. I await word back from a Bahamas Government scholarship, however, I recognize the financial difficulty that the country is currently facing and the amount of Bahamians competing for awards. Even if I am successful, I would still have a shortfall of some funding needed to complete the payment of my tuition. Although my family is proud of my achievements, they are unable to support funding of my educational expenses. My dad (since his stroke several years ago) is a pensioner and my mom is a teacher. They support where they can. I have also exhausted savings and liquidating assets to make sure I could do my first year of study, and therefore, cannot secure a loan. I have already received a commitment for an Erasmus Mundus Mobility Grant to support living expenses in Poland (which is 33% cheaper than Sheffield and 53% cheaper than New Providence). I have also managed to secure a short-term consultancy with the Pan American Health Organization/World Health Organization Office in The Bahamas, with most savings going towards school expenses. I also have interviews lined up for several organizations interested in taking me on for paid work placements (a mandatory part of my degree) starting January 2019. I have always valued an education. Even more so as I have found my passion as a public health practitioner. Students and academic staff can tell you, that the entire time I have been in Europe, I have done nothing but raise the profile of the country in academic papers, presentations, discussions, and debates. My passion is to serve this country, as it has provided me with so much and our people need young and committed people to assist in national development. I made commitments to keeping the general public abreast of my academic and social activities in the UK and remained committed to keeping sponsors aware of my progress through personal emails, social media updates and the newspaper highlight in the Nassau Guardian. You can believe that I will be committed in this second year, as I have to write a thesis that I am committed to having The Bahamas be a central theme. I look forward to your support in furthering student success and contributing to the growth and development of The Bahamas.